Based on an exhibition at the Met, Heavenly Bodies: Fashion and the Catholic Imagination is one opulently curated thing of beauty that in essence displays extremely beautiful artefacts, objects and designs, most of which find their origin in the Vatican and then went on to inspire and reverberate through the confines of haute couture, where religious and worldly takes on art eventually merged to become palatable for the mainstream for the twentieth and especially a renaissance in the twenty-first century. The photos the tome is comprised of are pieces of art in themselves, which adds another dimension yet also a point of critique as the enhancement and fragmentation – which results in some garments invoking the impression that they are made of patchwork - of the photographic depictions sometimes goes at the expense of details and depths of the design, as it can prove to be difficult to make out specifically the construction and volume of the darker pieces – of which there are plenty: Austere clothes, altarpieces, artworks, accessories, et cetera – many of which have never been published before – are juxtaposed with recent collections of the big fashion houses, think Dolce & Gabbana, Lagerfeld, Gaultier, Alexander McQueens and Versace. As a result of the highly stylized presentation of the photos, one has to rely a bit more heavily on the narrative and accompanying analysis instead of being enable to come to one’s own conclusions when it comes to the complex and more often than not controversial interaction and opposition between religion and boundary pushing fashion and art. 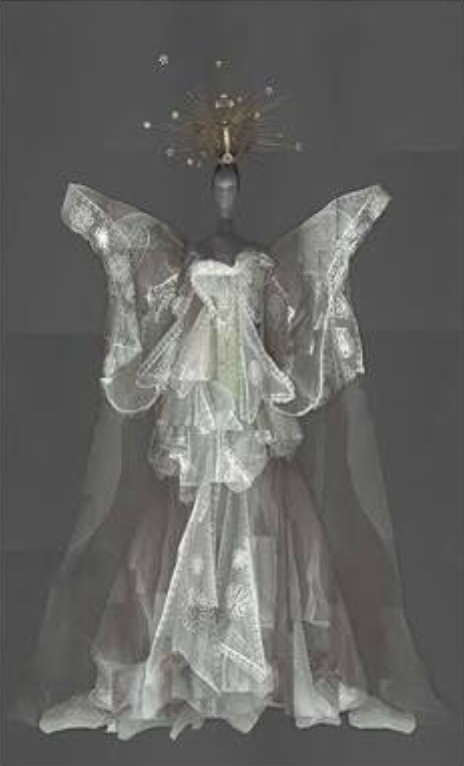 Heavenly Bodies: Fashion and the Catholic Imagination is a fantastic coffee table book that offers eye candy galore, yet it is not necessarily a reference / research book as it lacks the details and indulges more in aesthetic representation. What it definitely does accomplish is open one’s eyes for the genesis of what we perceive to be commonplace trends in both art and fashion. Creativity and extreme force. Diametrically opposed extremes or inextricably linked? 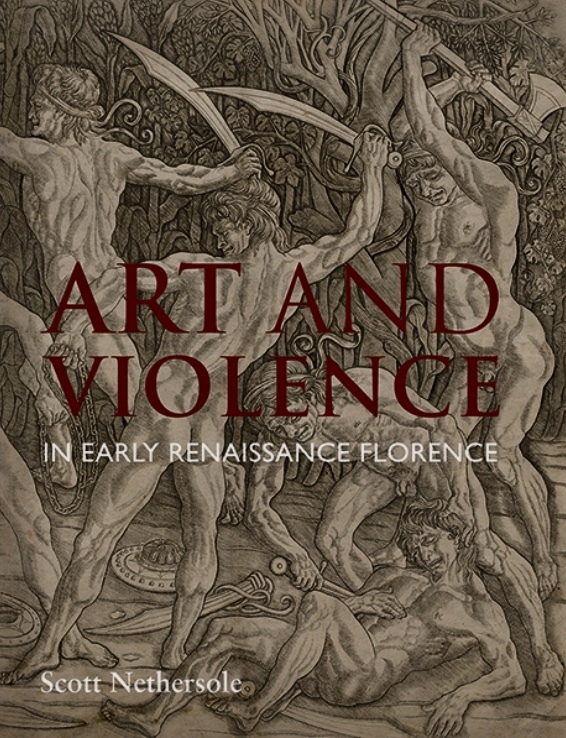 Art and Violence in Early Renaissance Florence explores this intriguing relationship with a focus on the epoch of an era known as “renaissance”, i.e. a time spanning the period from the fourteenth to the seventeenth century. Now, the epoch of what basically means “rebirth” is not exactly known for holding back when it comes to the public display of violent rituals, be it in a religious context as in the ordeals our saviour and Good Shepherd was subjected to or punishments that were unleashed under the guise of law on wrongdoers. What this tome zeros in on is that in an age that is known for being liberating and fertile ground for spawning progressive and enlightening ideas, there seemed to have been an appreciation and aestheticisation acts of violence, predominantly in the field of visual arts – the realms of artists like “il divino” Michelangelo, “the Elder” di Cosimo and sculptor Bertoldo di Giovanni, who seemed to be fascinated by depictions of lethal physical altercations and brutal battles. What the book does well is exploring how each artist’s personal relationship with violence and art resulted from a fusion of their own backgrounds, political and religious influences and the images they created. The fact that most emissions of artists rooted in the era of aestheticism exerted an immense influence on the evolution of all facts of the arts as we know it lends weight to the notion that there was a bit more to the fascination with evil and violence than a face value representation of the signs of times: It explore that it was an integral part of the DNA and that without it would have probably lacked both the impact and significance it had for generations to come.